The battle really heats up and Paula puts the burn on Trillionage's eyes. 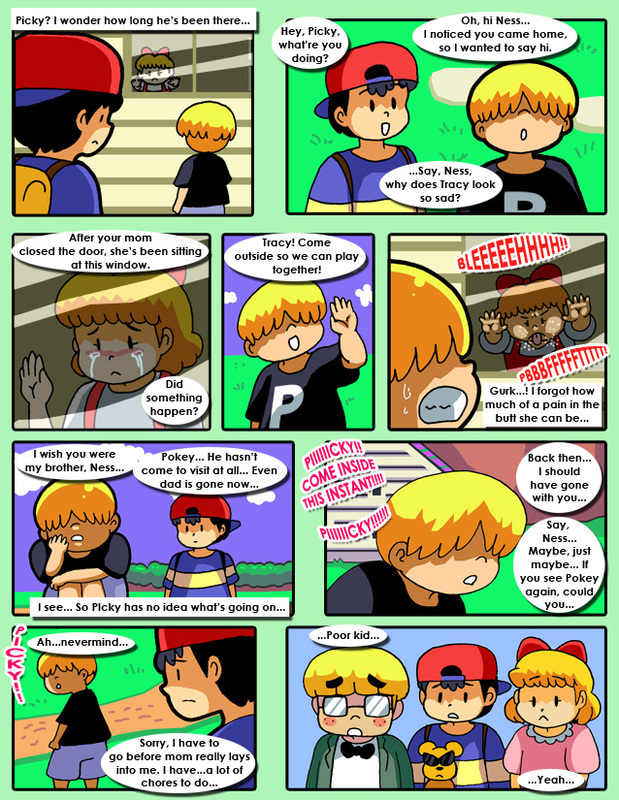 Fortunately, Ness is there to put it out. Ness continuously checks the Mani Mani statue in order to chain together its eerie sound and it ends up getting stuck. Also, the Burger Shop reveals where it gets that secret sauce. Although Trillionage Sprout is a tough customer, his eyes are loosely held on with some old glue.